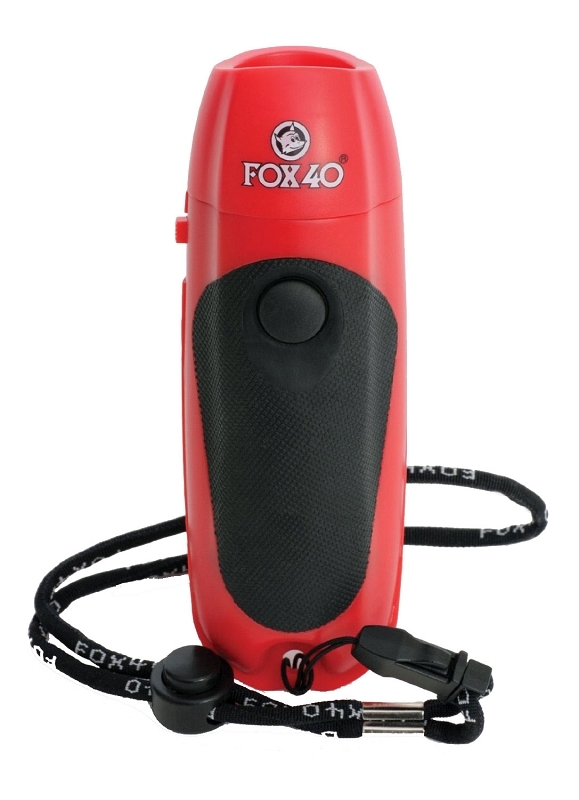 Instead of being mouth operated, the Fox 40 Electronic Whistle™ utilizes a push button. A hygienic solution for multiple operators. Great for coaches, trainers, and referees. Four-switch, three tone functions: Off , Tone 1, Tone 2, Tone 3. Whistle can be aimed in specific directions. Sound power: 125 dB. Includes detachable wrist lanyard and 9-volt battery.